Graham trimmed a 13-point Stephenville lead to just one midway through the fourth period, but Williams hit a jumper, Evan Moody knocked down one of two free throws then Williams struck again with a running circus shot to push the advantage to six. The sophomore point guard then connected twice from the stripe for a 61-53 advantage with time running short. Williams scored nine of his 17 in the fourth, while Darian Brown added 15 and Josh Nowell fouled out with 12. 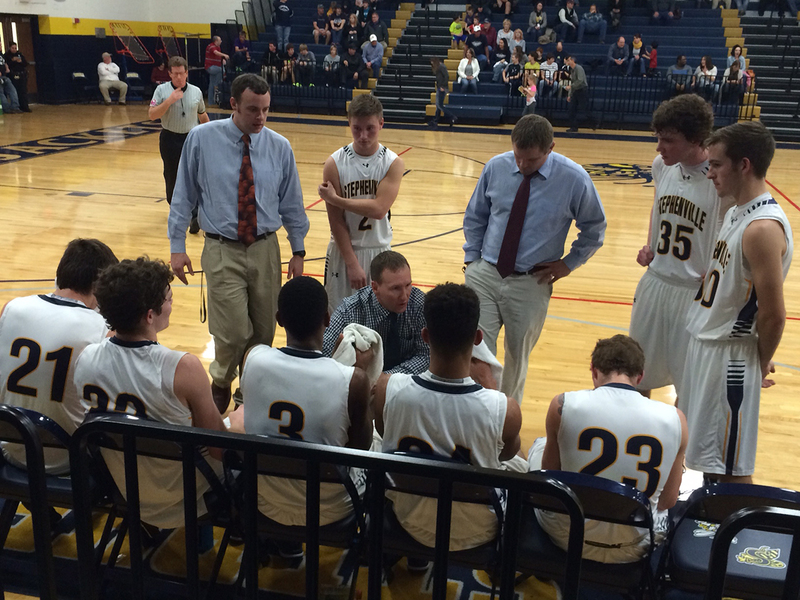 Brown hit a 3-pointer to provide Stephenville its largest lead of the night – 47-34 late in the third. But Graham scored the final four points of the period and nine of the first 11 in the fourth, a 13-2 run that got them trimmed Stephenville’s edge to two. The Steers, led by 19 points each from Derek Sides and Ethan Nicholl, ultimately cut it to 54-53 before Williams took over with six points in Stephenville’s 7-0 run to respond and put the game away. Zoey Kendall scored eight for the Jackets, Tyler Griffin seven, Moody three and Sutton Fambro two. The Jackets will finish third in 4-4A unless there is a bizarre twist – Stephenville losing to Brownwood, which is on a 25-game losing streak, and Graham upsetting both Abilene Wylie and Mineral Wells, the top two teams in the league. Stephenville visits Brownwood at 6:30 p.m. Friday.